Okay, confession time: I like Star Trek (maybe that’s not too much of a reveal.) People who know that about me sometimes erroneously call me a “Trekkie”. 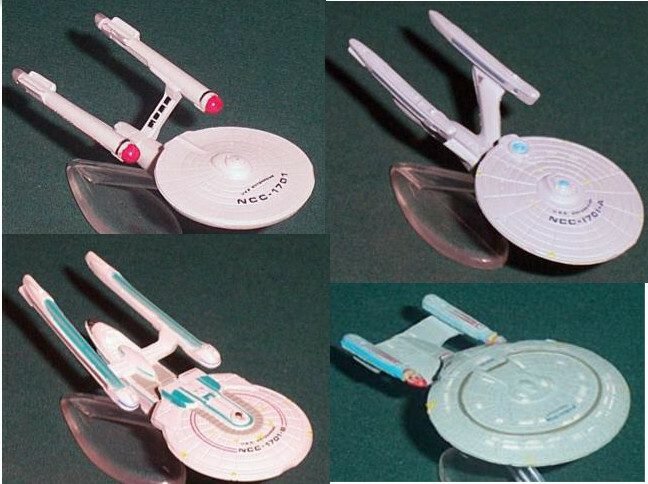 Apart from the fact that the correct term is “Trekker”, that I know what the correct term is does not make me one. I’ve watched The Original Series and The Animated Series multiple times, most of The Next Generation, some of Deep Space Nine, a year of Voyager, and every episode of Enterprise twice (the franchise jumped the shark with DS9, and dove deep into the abyss with Voyager, but regained some self-respect with Enterprise). And I’ve watched every movie except the latest attempt. BUT … I’ve never dressed up in a Star Trek costume, never wanted to dress up in a Star Trek costume and … I’ve never attended a Star Trek convention. Actually, I’ve never been to any convention. Conventions are weird. Conferences, yes. Conventions, no. That is…until last week. Well…I didn’t attend – our kids did. Something called A-Kon. Apparently, it’s a big thing. And apparently, run by people overwhelmed by the unexpected huge attendance. Folks waited in lines for hours and hours to get badges that they already paid for!! Far too much frustration to unleash upon a poor reader…so, we’ll leave it at that. After my brief experience as an onlooker, I’ve come to my curmudgeonly conclusion that the anime crowd are on the seamy side of humanity. Some of the costumes were quite elaborate and creative, but the creep factor pegged the meter. I thought some of the steampunk costumes were interesting, but the girls with the blue or pink hair and three Band-Aids for a “costume” and the guy who looked like a Flash Gordon with no pants kind of pushed the envelope a bit too far – and those were the relatively tame ones. Our sons have no desire to go back to another anime convention, which is fine with us. Very fine. Now, 30 years ago a friend invited me to a science fiction/book convention and that’s the one I should have gone to. Sadly, the young me wanted to go do something else [more fun? whatever it was, it wasn’t memorable], and I declined. She went anyway and got me a copy of Twilight at the Well of Souls autographed (to me) by Jack Chalker. I do like pretty much everything I’ve read of his, and that young me was not so callous as to not appreciate the effort and gesture. I unfortunately left the book behind when I joined the Navy and never saw it again. More’s the pity, as Chalker died in 2005. The friend’s name from 30 years past was not Charley (oh, it could be a female name), but I certainly coulda been a con-attender and not a bum for the day. Plus, I could have met Jack Chalker in person. We used to take road trips all the time – some incidental to cross-country moves dictated by the Navy, and some just because, but with gas prices so much higher and our 1999 Chevrolet Express custom van getting 15 mpg at most, not so many lately. That, and the van has been without air conditioning since last year. I’ve endured, but those of you who know me know that I do not like heat. I live in Texas because Andrea lives in Texas and I like to be near her. So I endure. Anyway, last summer Brandon replaced the compressor that had seized catastrophically – and it worked for a month but then the A/C went out again and we couldn’t figure out why. Having a mechanic in the family has its perks, as last week Brandon took the van to a shop he uses for things of a more than casual nature and their troubleshooting found the manifold pipe to our rear A/C had a leak. Not something we would have found…nor would have been able to repair. So, to christen the working-again air, we decided to drive south the New Braunfels (Texas) and spend two days at the Schlitterbahn waterpark. The resort accommodations were above par (twin kings, full sized refrigerator, microwave, and gas stove top/oven) although too close to the rail line that had no less than five trains run through after 11 pm. We spent half of the first day at the old park, which was fun enough, but we trammed over to the new park for a few hours on the first day. We liked it enough that we spent the whole second day there, apparently missing out on some cool slides in the old park that we’ll have to catch the next time we go. The old park uses untreated river water from the Comal River…meaning it could have been COLD! …but fortunately for me that day it wasn’t. The Schlitterbahn East (new) park has the Master Blaster Uphill Coaster (pretty cool, but not worth the loooong lines), a “lazy” river that isn’t so lazy (strong current and waves) and a 3,600 foot long tube ride called The Falls that is a lot of fun. Definitely a good road trip. 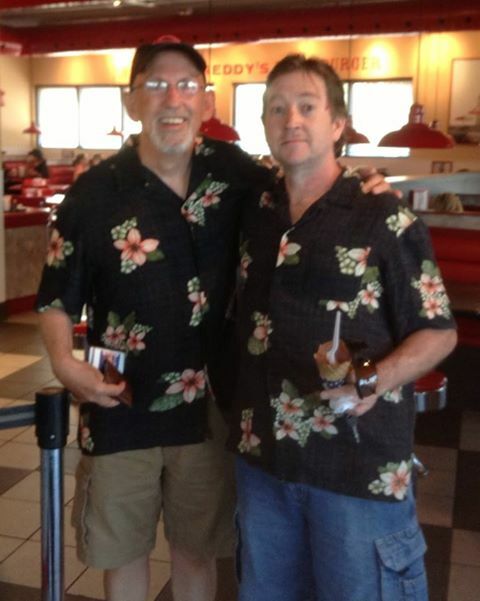 Eddie called us “twin brothers from different mothers”. What a handsome guy he is…almost like I’m looking in a mirror! I wonder why something can be a person’s undoing, but you never hear about things being someone’s “doing”. Behind on my book and beer coverages…must make time soon to catch up. Our vacations always leave me in dire need of a resting vacation. Core muscles still sore from the powered “lazy” river (reminds me of body-surfing) and from keeping my keester off the bottom during the rapids phases of those rides.